The Morphe 35B palette has been in my collection for quite some time now, and I thought it was about time I reviewed it! 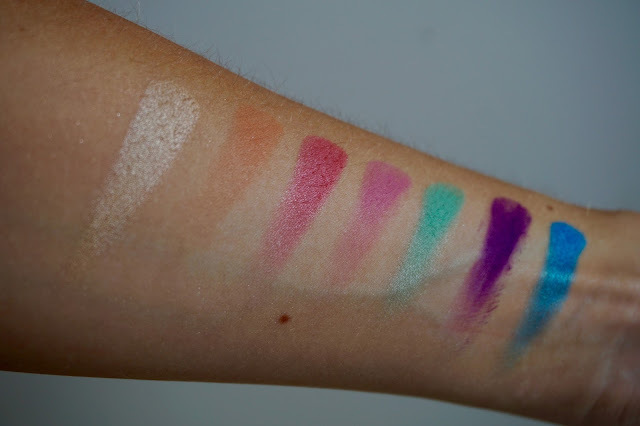 These palettes have become a holy grail in every beauty bloggers' collections, and I'm definitely eager to add to my collection (I currently have this and the 35O). 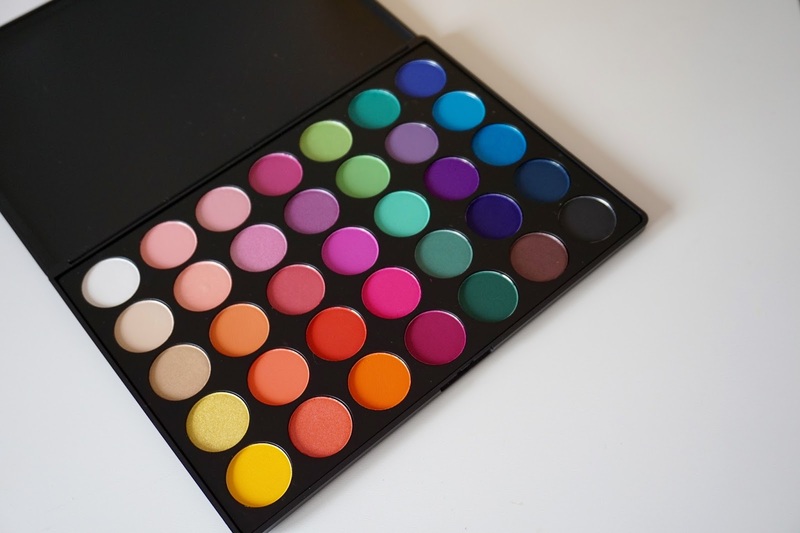 The 35B is full of their bright, colourful shades that are fantastic for more creative looks. 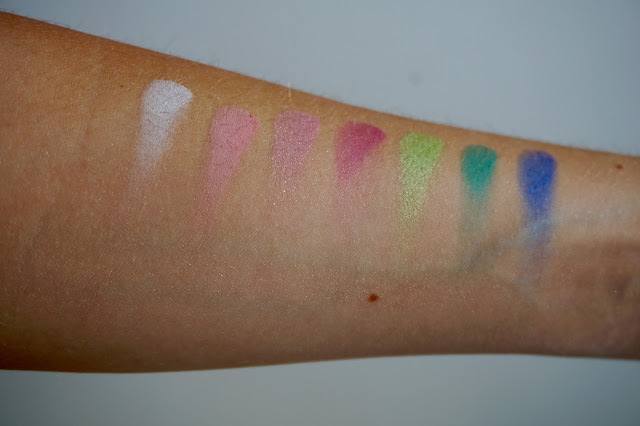 I have done arm swatches of all the shades in the palette (see below), and I've also used this palette in loads of my Instagram makeup looks - see here, here and here. 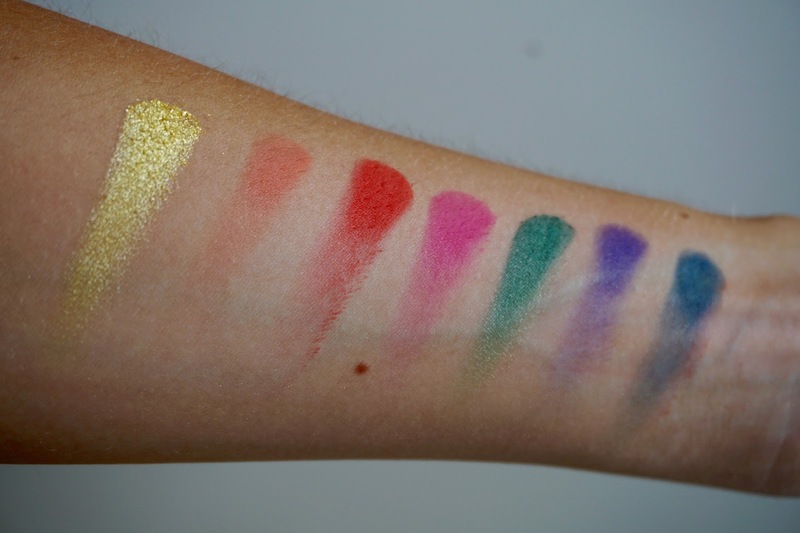 The swatches below are in order of each row. As you can see from the swatches, some of the shades can be a bit hit and miss. 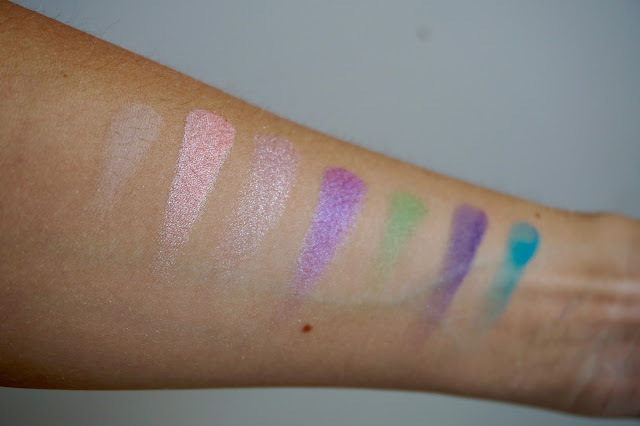 For me, the shimmers are absolutely gorgeous, and just looking at these swatches has me itching to use more of them! 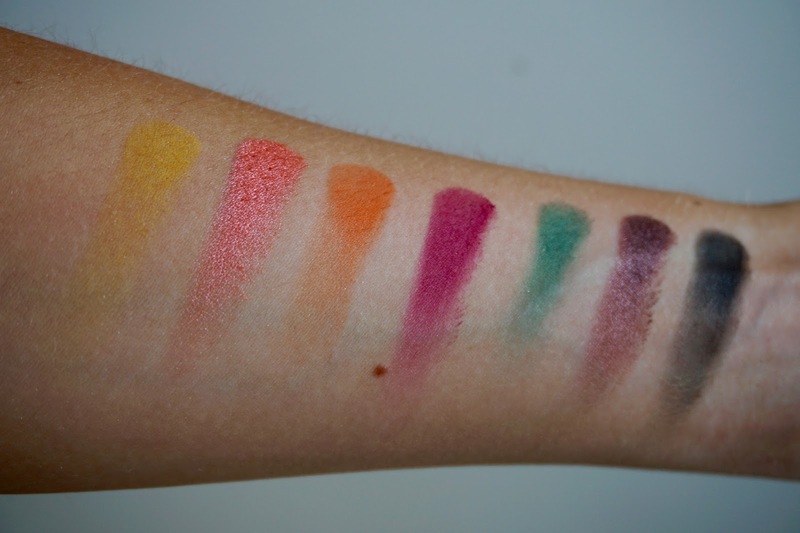 However, the mattes can be a bit of a let down for me - you do have to pack on quite a lot to get a full, opaque pigmentation. I don't find this too much of an issue with the purples and pinks, but with colours such as the orange, yellows etc, I really have to pack it on for quite a while to get it to a finish I'm happy with. However, considering you get 35 colours for £20, I can let a few average shades go! I honestly do think this is a great starter palette for anyone who is trying to get into more colourful makeup - it has a really wide range of shades so you can experiment without buying a ton of single shadows. It's also a great one for fancy dress/editorial kind of makeups too. Have you got any Morphe palettes? Let me know your faves in the comments!